Yes that is spot on what I was referring too. I wasn't implying I was throwing in the towel, just stating what has been so consistent on the GFS. We shall see what November brings! You ain't kiddin, boy is that sad or what? Whether it verifies remains to be seen ofc, but verbatim that has to bring some bad flash-backs to mind. And prior to the 2 surprise rainstorms on the 11th and 14th, I was feeling the exact same way, that our 2 month dry pattern would never end. I still feel strongly that you guys will make out great with CO Lows. Now, I suppose being the temperature bi-polar plains, it's not out of the question that your precip goes that way as well - all wet or all dry - nothing in the middle. Amazingly wintery pattern, even if the ground's still too warm to hold what falls. Getting some flurry action now. Many heavy hitters for SENE! "..Luke, it's time to believe that The Force will be with you this winter"
We just need patience this season with the model watching. That big EC storm hasn't developed yet and will absolutely effect the pattern upstream. That energy coming out of the SW around Halloween will come out, but to what extent is the question at this time. The weather forecast looks cloudy. Temperatures appear to relatively stable in the long term in the Midwest. Could Central and Eastern Nebraska see there 1st snow of season around Nov 1st? KC region as well...N MO, several places that haven’t already in the Plains/Midwest. Winter is off to a fast start this year for the Central US. This would be after the Wk-2 torch due to that strong plains cutter, correct? 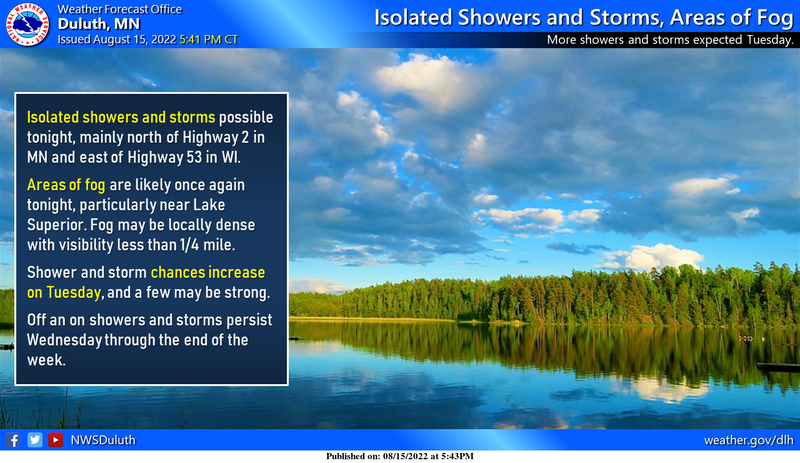 So, how's it looking for a few good days of lows under 28 and highs in the 30s for SE Wisconsin? Any guesses? That's when they can blow snow and I can go snowboarding. They usually open Alpine Valley around the middle of November if things are in our favor. AGH. Snow chances for Tuesday night/Wednesday morning gone. Dry air can go die in a hole. What's your avg precip for Oct and where do you stand so far? November right now looks like it will be running below normal tempwise. Snow chances are definitely increasing. Also, my average H/L are 53/37. The anticipated "hard cutter" around the 5th/6th is now looking likely later this weekend into early next week. The clues to this storm track could have been used from the storm that is impacting East Asia right now. Check out how Tropical Storm Saola skirted the east side of Japan and then veered N/NW into the Sea of Okhotsk. This track suggested a hard cutter across the central CONUS. Moving along, the next system that we should look out for is around the 11th time frame which not only correlates with the storm that will be effecting East Asia on the 4th/5th, but also the BSR rule from the storm that hit the Aleutian Islands last week! Isn't it just fascinating how you can use different long range forecasting tools and they both can mimic a similar outcome? I find it very intriguing that you can spot a pattern 1000's of miles away and recognize it's "fitting" pattern downstream days/weeks away. For days, the GEFS were suggesting a much stronger ridge across the East post 10th/11th but has since backed off of it over the last couple days. The reason for this, will be the storm the will be somewhat relaxing the Bearing Sea ridge during this aforementioned period above. 3 Days earlier...much bigger Bearing Sea ridge...let's see if this holds so that we see a storm track more favorable for our sub forum. In looking ahead into November here is a kind of fun fact. In each of the last 10 Novembers Grand Rapids has had days that have gotten into the 60’s or 70’s Here is a list of the year and the highest temperature for that November. 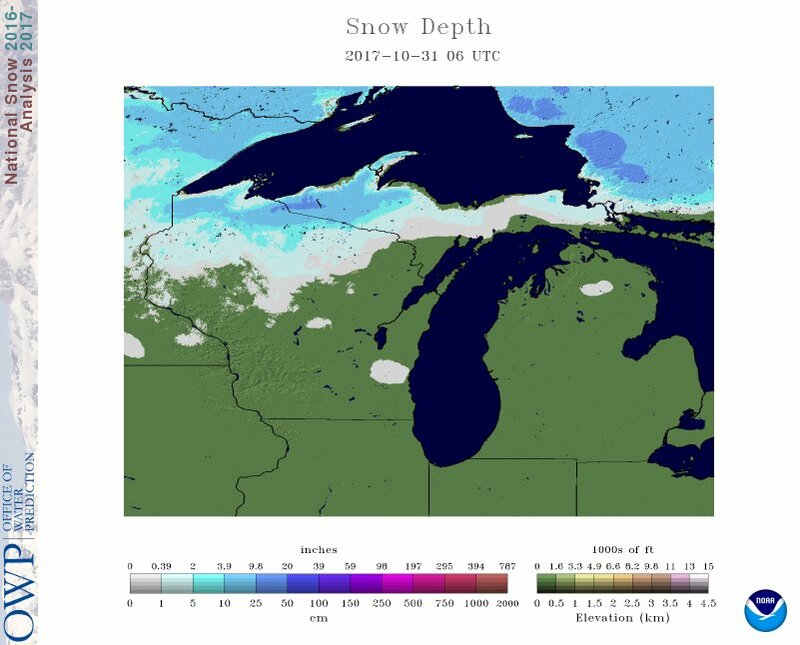 2016 73°, 2015 76° (that November had 4 days in a row in the 70’s with highs of 73°, 76°, 75° and 72°) 2014 60° (that November Grand Rapids had 31.0” of snow) 2013 64° 2012 71° 2011 °65° 2010 69° 2009 72° 2008 73° and 2007 62° So based on this I feel that there is a very good chance of seeing temperatures reaching the 60’s and or yet another 70° day. Watching this, couldn't help but see that both bombs look like synchronized swimmers in the (jet) stream. Off EC of Asia, and E Canada. Pretty wild.. I agree...saw that as well this morning and may be an indicator of some big storms this season. The jet is intensifying and these systems are prob a likely response to the seasonal transition. Winter is here. Getting some snow showers with gusty winds. One thing is for certain, there is a world of cold air that will be building just across the border. Today's 12z GEFS/EPS, have, for the first time, come to some agreement that Week 2 is trending colder. The 12z Euro op run ended up showing a volatile temp pattern towards the end of the week into the weekend. Next week has the potential to be really cold if the pattern does in fact trend colder. The control run brought a stripe of snow across NE/IA/MO/IL/IN/OH around the 12th/13th which is the period I'm looking out for a potential large storm. Do you know if MKE had its first official flakes? Not at the airport to my knowledge - we just had a burst of snow grains for about two minutes - looked like snow from the window but then I stepped outside and it was just grains. Officially, I don't think so. Seeing a rising AO and NAO in the extended models right now. Kinda disappointing. Hope they both drop after mid-month. Bound to relax at some point post recurve storm. I think November has eyes on parts of the lower 48 with some real cold temperatures to settle in. I'm liking what I've been seeing for the past week and what I'm seeing in the future from models. Fluctuating temperatures with cold being dominant, while still having a thaw day or two in the 60s for a little break. I prefer cold nonstop, but that is a pattern I can deal with and is way better than the "record warmth with occasional dips all the way to average" bs we dealt with last season. I agree. The opening 2 weeks of this month's pattern couldn't be more different than last year. Last year, we opened the month with a high of 75F and basically stayed in the mid/upper 60's through the 10th. Not only that, it was a boring wx pattern. Happy Halloween! 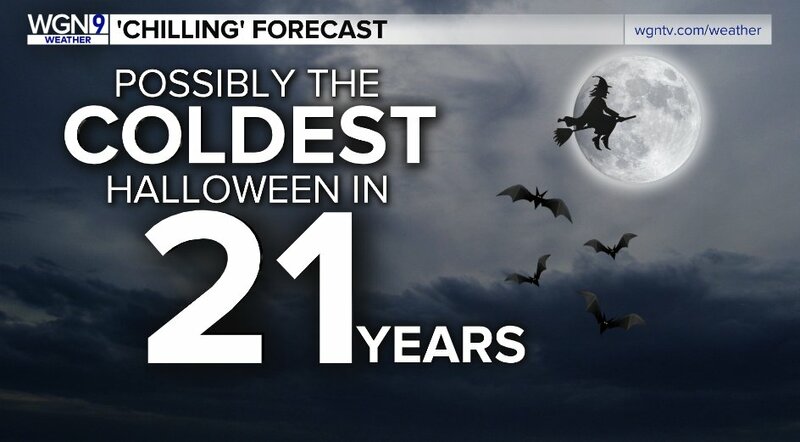 It's going to be the coldest Halloween here in 21 years. The wind was blowing all night. I can't remember an Autumn that has produced so many colder/windy days around here that last for days. It feels like forever. The last CFSv2 daily run in October is holding onto the idea that there will be a strong SE ridge next month. Central CONUS battle zone will be draped across our sub forum. Expect to see a high variability next month for a lot of us. Folks up north in MN/WI region may stand a better chance with more persistent cold allowing for heightened chances for wintry precip. Winter is here and looks locked for those up north. Many of the trees still have leaves on them here in the Grand Rapids metro area, In fact much more than average for Halloween. Not sure if that means anything or not. Here, 65% are bare. Going towards past peak. This will be the snowiest October 31st in Grand Rapids since 1932 when .03" was reported. The most snow fall on the 31st is 1.5" and that was in 1917. Hum does that make this a hundred year event? BTY as for hints for snow on Halloween and the upcoming winter well that is a mixed bag. In 1917/18 Grand Rapids recorded 75.9" and in 1932/33 that winter GR only recorded 43.6"
Wound up system around 12th-13th showing up on GFS for upper midwest. BSR in play?